James Wan will more than likely come back to direct Aquaman 2. Warner Bros. is courting the director after the massive success of the first movie and they say that Wan is waiting for the right script to come along. The combination seems like a no-brainer, but Wan is exhausted after pouring his life into the creation of the breathtaking underwater world that has been captivating audiences all over the globe. 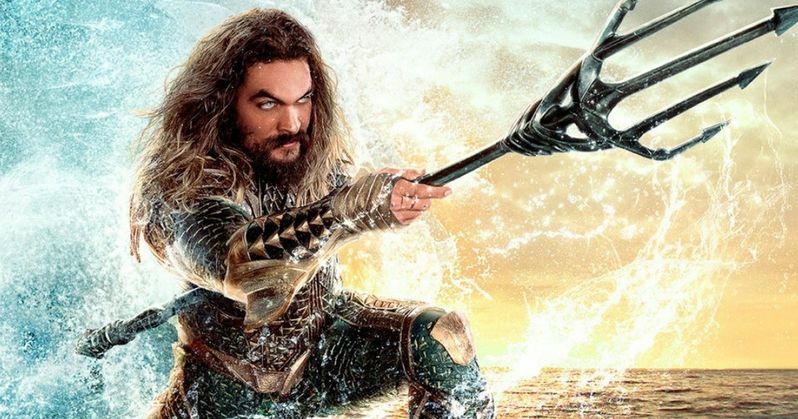 Aquaman is currently in theaters and has passed the $1 billion mark and the studio is anxious to get the sequel moving. A spokesman for James Wan says that the director is taking a break after making the first installment, while Warner Bros. states that the director is waiting for the right script to come along. So, for now, Aquaman 2 will continue to be in the development phase, which is definitely a good thing. But, that will certainly change if and when the right script comes down the line. If James Wan decided to come back for Aquaman 2, the director will command a huge pay bump. After taking a second franchise to the $1 billion club, Wan is going to be even more sought after than he already was before. However, the director's first-look deal with Newline could throw a monkey wrench into things for Warner Bros., though they'll more than likely stop at nothing to get the winning team back together for another box office sensation. Let's all just let Mr. Wan take a breather after pulling off a feat that nobody saw coming. When recently asked about coming back for Aquaman 2, James Wan wasn't sure since the first movie accomplished a lot of his goals that he had made for himself. But, he is pretty invested after creating that underwater world and he enjoyed working with Jason Momoa and the rest of the team. Regardless, the director has some time to figure it out. He had this to say. "I mean, liking the people I work with goes a long way. That was the reason why I came back when I did Insidious 2. But it's a weird one for me, because I actually don't know what I want to do next for the first time in my career. I felt like Aquaman ticked a lot of boxes for me. I want to do another action movie after Furious 7, I wanted to do a world creation film, and I wanted to do a superhero movie, and Aquaman literally ticked all of those boxes for me. And so right now, I'm in that sort of place of like do I kind of go back and do a smaller movie maybe as my next one, something a bit more intimate. Or if I can do a personal movie, but maybe it's on a bigger scale. I'm not sure at this point." Jason Momoa was recently asked about which characters from Justice League that he could see joining him in Aquaman 2, and he said Wonder Woman and the Flash. While those are both really awesome ideas, it probably won't happen. It seems as if Warner Bros. is shying away from the DCEU connective tissue and going for the more standalone approach instead of achieving what the MCU pulled off. Let's just hope that James Wan gets the right script. This news was first reported by Deadline.